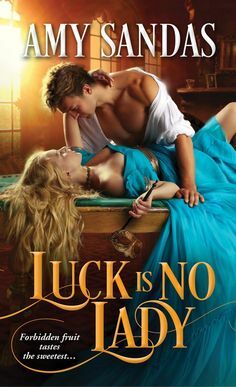 One of seven daughters in a line of extraordinary women, Hannah Drake has been the elusive object of affection for Jonas Harrington for as long as the rugged sheriff can remember. If only the stunning supermodel was driven by a passion other than her career. But Jonas isn t the only one with desires for Hannah.From the shadows has emerged a vengeful figure who stalks the beauty with one terrifying purpose: to strip her of all she is and destroy her. Only one man was destined as her protector. Now, out of a storm of danger, Jonas must guide the woman he loves from a sinister darkness that threatens not only Hannah, but the entire Drake family. Hannah Drake, supermodel, beautiful and gracious has been in love with Jonas for as long as she can remember. Throughout the years, Jonas has been a part of their family, overprotective to the extreme, stubborn and domineering. However Hannah knows he is the only man for her, the only man she could ever love, only she doesn’t believe he could love her in return. When she leaves for a job, she is attacked, and almost dies, and when it becomes apparent that someone is out for her blood, she knows she is in grave danger. Only if she puts her trust in the one man she loves more than anything, will they be able to save each other and everyone they both care about. Jonas, is considered a part of the family when it comes to the drake sisters. He has been with them since he was six years old, and even though he has developed intense feeling for a particular sister, he is still over protective of them all, especially when they step close in the face of danger, which tends to happen frequently. Jonas has always loved Hannah, and even though he hates what she does for a living, he also knows her better than her sisters even do. He has always had a strong connection to her, and he is willing to fight for her, no long how hard or how long it takes to win her over. Hannah, considered the beautiful one in the family, a supermodel, and very famous, has inner demons that she has even managed to keep from her own family, her beloved sisters. Hannah, has fears that at times with paralyze her, but with her sisters and Jonas at her side, she knows everything will be alright. But when someone tries to kill her, repeatedly she knows she is in grave danger, more danger than she can comprehend. Only with Jonas at her side, will they be able to get to the bottom of it, and maybe she will be able to get a chance to grab onto happiness…. I have read this book many times, however I haven’t written a book review for it yet, so I thought “why not?”, especially since this is one of my favorite series. I love all of the sisters, but Hannah holds a special place in my heart. Even though she is a fighter and will fight to the death to protect her sisters, there is also a vulnerability in her, that appeals to this reader, makes her feel more human, with faults and struggles, and you see a side of her that you don’t see in previous book. Jonas….good ole’ Jonas, whom you can’t help but love. Jonas has many domineering qualities, very over protective, stubborn streak a mile wide, but you see how perfect Jonas and Hannah are for each other, and I just love reading Safe Harbor, because you see a deeper aspect to their relationship. A Remarkable Read!!! !